I felt a little bit behind going into this week – I’d meant to get it all put together at the end of last week, came down with a cold and did nothing for a few days…which meant that when I put this one together earlier this week, I was taking pictures and notes for the current week, editing photos and planning layout for last week and physically working with this one. I’ll definitely try to avoid having 3 weeks in the works at once again. 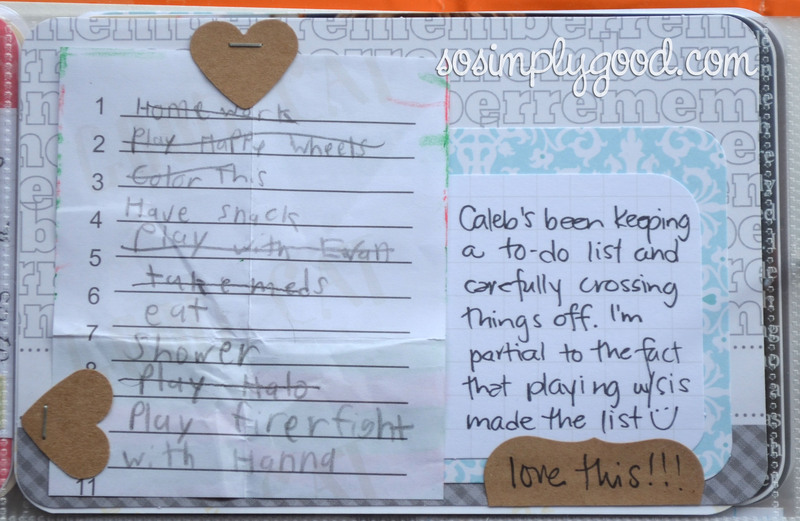 And Caleb’s little daily to-do list. He even asked me if I wanted to keep one. 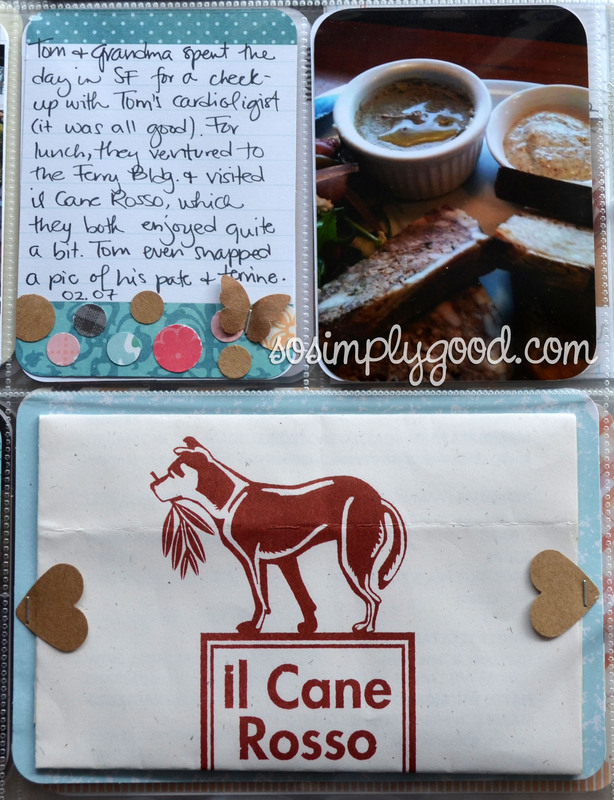 I love that I’m finding little treasures on my desk to add to our Project Life. A little collage in Photoshop and a business card. And that’s a cinnamon roll Caleb is eating. It was a special treat and ridiculously HUGE! 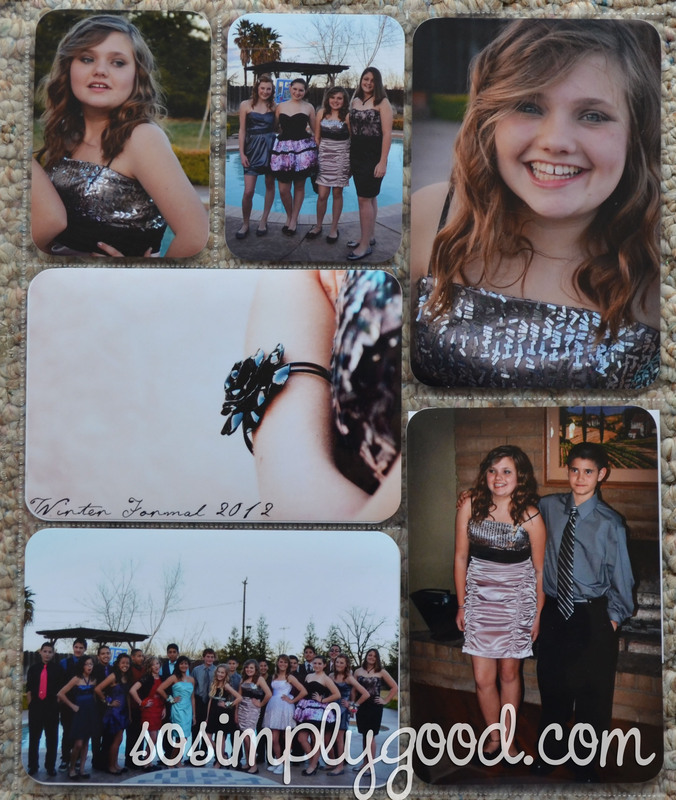 I couldn’t pick when it came to Hanna’s first Winter Formal photos, so I ended up using the Style G page protector as an insert. 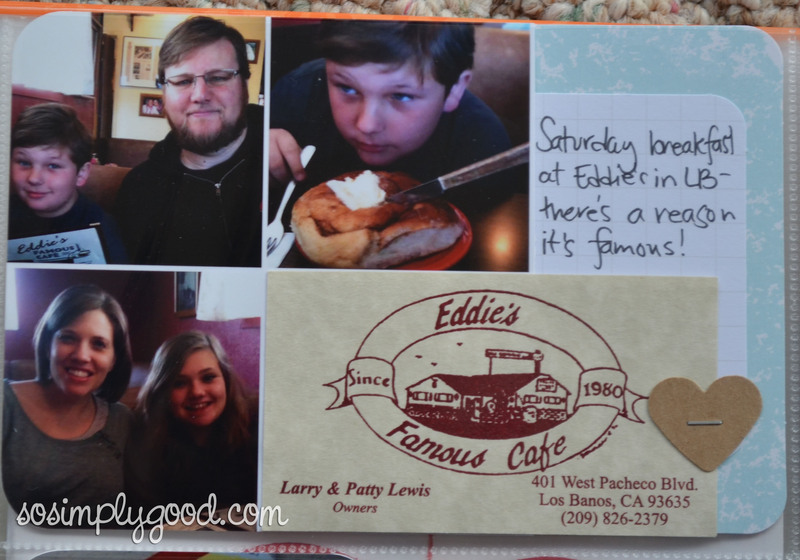 There are a few more photos on the back and I’m going to have her do the journaling back there when I can get her to sit down for a few minutes. And Style G? It makes an awesome insert. I’ll definitely be filing that idea away for our Spring Break trip and summer vacation. And, of course, our week in review. 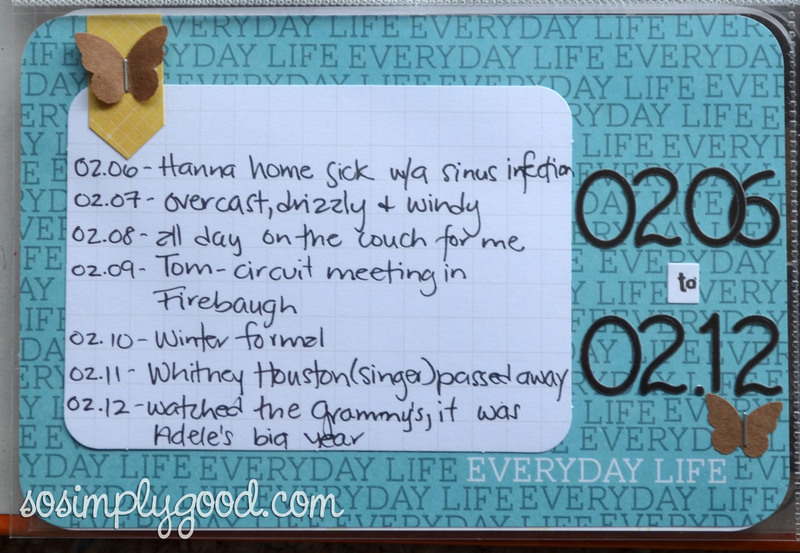 I’m trying to add in a few happenings in the world – last week, the Super Bowl and the death of Whitney Houston this week. I realized recently that my favorite part of the baby book my mom kept for me is when little bits of the world at large peek through. How are you coming with your Project Life?